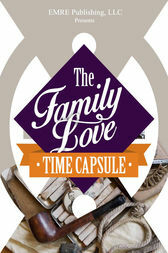 Create your own family time capsule online using EMRE Publishing's ePub3 Creator Studio. With our storage plans, your family videos, music playlists and mysteries can be preserved for coming generations to add to, embellish, and communicate using our Family Forum inside the Embellisher eReader for multimedia "enhanced" eBooks. Just like the "American Sniper" enhanced eBook, you can pay tribute to your fallen heroes and other family members who have distinguished themselves in life.